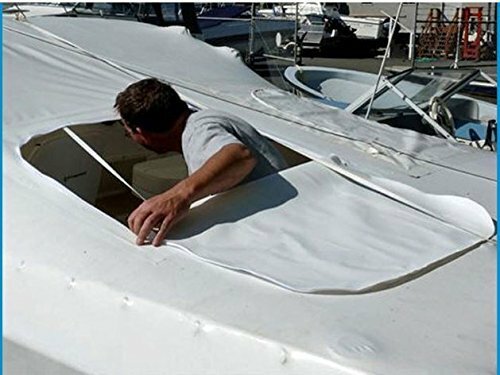 Whether you need to provide access to a shrink-wrapped boat or a re-sealable door for dust containment on a construction site, the Zip-Up zipper hatch is the ideal solution for any environment. Made from heavy 10 mil UV resistant poly, all zippers are stitched with high strength nylon sail-making thread to withstand sun, salt, rain and wind. Our 72-inch long size is ideal for making a quick doorway for duct containment during construction and renovation work. If you have any questions about this product by Zip-Up Products, contact us by completing and submitting the form below. If you are looking for a specif part number, please include it with your message.